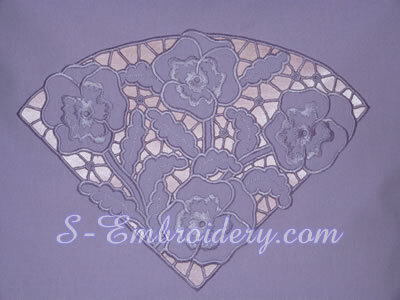 This pansy cutwork lace machine embroidery is for those who have large hoops. 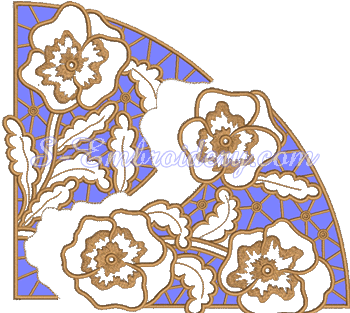 The design that is split in 2 parts that are assembled in the hoop in the process of stitching. 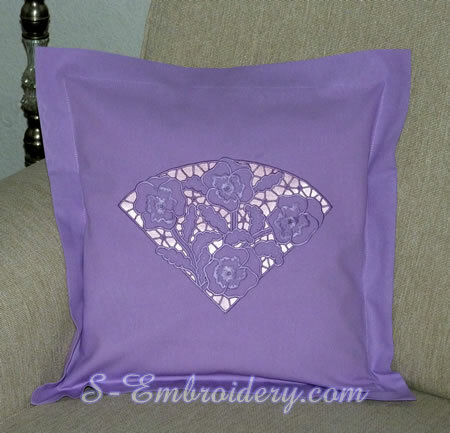 You receive 2 machine embroidery designs as well as PDF files with design information, instructions for putting the design together and templates in A4 and Letter formats.